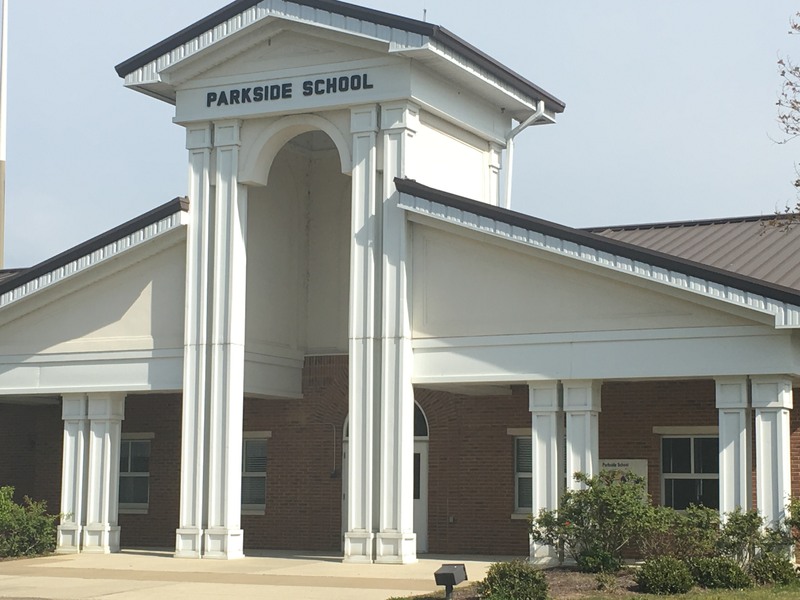 BAILEYTON – April 2 was an exciting day for Parkside School, as it was named a Blue Ribbon School of Excellence (BRSE). The school received the Blue Ribbon Schools Lighthouse Award, achieving excellence in all nine major categories of critical performance in excellent schools (Student Focus and Support; School Organization and Culture; Challenging Standards and Curriculum; Active Teaching and Learning; Technology Integration; Professional Community; Leadership and Educational Vitality; School, Family, and Community Partnerships; and Indicators of Success). The award is only given to a few hundred schools across the United States annually, and Parkside Principal Richard Orr said he confident his school would stack up well when Blue Ribbon representatives came for the evaluation. “I knew it was a prestigious award and hadn’t really thought much about it. I knew there were some schools in Cullman City had it and I hadn’t thought much about it and (Cullman County Schools Superintendent) Mr. (Shane) Barnette was wanting some schools to go through it. We were picked to go through on the second round and when they came out I knew based on the stuff they’d be looking for we’d do well because the teachers and the instruction they give out here is unbelievable,” Orr said. “Our school is a great school and I couldn’t be prouder of the teachers and the education they give our kids out here and that’s what impressed the Blue Ribbon folks the most was the instruction in the classroom. It was also based on some surveys from parents, students, teachers and staff and what they saw when they came out here. It was the combination of feedback they got from parents and students and what they saw when they came. I’m just super excited and really, really proud of our teachers. Their hard work has paid off I guess, and it pays off with our kids and what they do,” Orr smiled. Orr is in his seventh year as principal at Parkside and said in that time he’s seen investments in a personal learning environment pay off and fun new ideas bring his students together. “There’s been a focus on small groups and focusing on what the kids need. We’ve done that since I’ve been here, but I think it’s nice to kind of bring to light the hard work that these teachers do. They put a lot of time and take a lot of pride in working with these kids individually. Orr and the staff at Parkside are excited to see their efforts be recognized but they aren’t finished working yet, and they look forward to using this award as an opportunity to continue raising the standard.